The gaming culture is so important that it spread through and every field of everything! It is used in (science) research as a human resource, It is used in the working space to motivate workers, it is used to teach and learn at school through levels and challenges, it is used by artists to disturb and interfere with the the role of the public, making him a real participant of the work, an actor in what becomes an interactive art experience. Interactivity is one of the most obvious aspect of the video game as an art medium, although participation, inclusion, control… are some of the numerous directions artists intent to explore as well. The technology, the storytelling, the imagery created in/for the gaming industry are a playful and continuously renewed source of inspiration. It is not only the use of consoles or gaming technologies but this participative and interactive attitude, inherent to games, which also transformed the art world. If before you were questioned through art, you are today asked to give your opinion, make choices, take a stand. The artist is not only the one with questions but he is enabling the viewer to chose, confronting him with his own opinion and its ability to act. Sickhouse is The Interdisciplinary Creative Lab opened to develop and support experimental, interactive, fun researches inspired by the gaming culture. This year at Sickhouse lab we are bringing artists, academics, game designers and creative thinkers together to elaborate a research around our theme. Participants are invited to develop a creative and interdisciplinary research/project which will be presented at The Overkill festival.In 2018 we are working on the idea of IMMORTALITY, its meaning and possible impact on our lives. “Do you want infinite lives?”, is a mode you can pick at the beginning of certain video games; Game Over; do you want to continue?, Do you want to save your lives? Start over, 1up, infinite health; these questions are regularly asked to gamers. Decontextualized from the game environment these questions could seem surreal, except when you look at the many researches about immortality and the many believers supporting it. These questions we want to reflect on, are related to the increasing researches against aging, the trans-humanism problematics in the homo deus age, and the eternal question of death. The terms used in video games related to life and death are a great source of inspiration to begin our research about immortality. 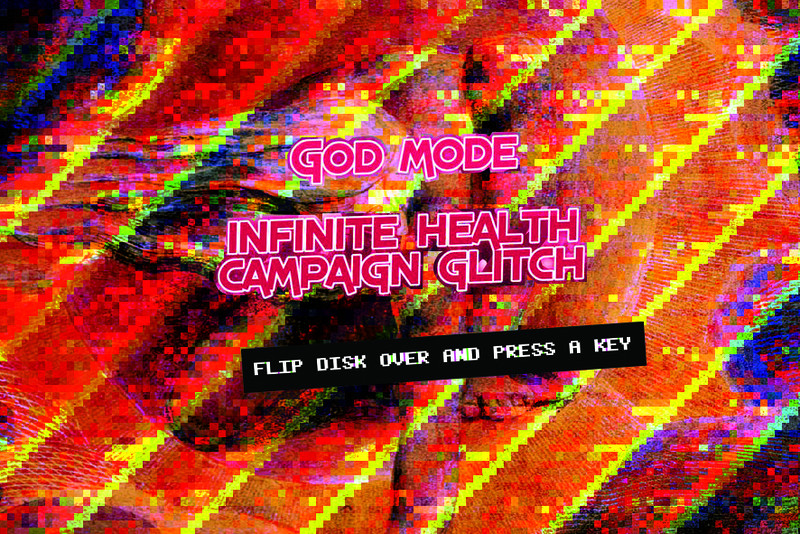 When you can collect hearts, recover from deadly injuries in a few seconds, play “God mode” or “start over” again and again, Life takes a totally different dimension in the digital environment then it has until now in the “real” world. What happens when our lives are as much online than offline, in mixed realities (AR, VR, multi, hybrid realities…) and how do we deal with death in these new circumstances? Yesterday alchemist were dreaming about immortality but today the impact of technology on science and our lives in general, seems to bring this dream to the field of possibilities. In a close future, cyborg, digital immortality, resurrection of cryogenized bodies and eternal youth operation…will transform our humanity. Will immortality be a choice in these new conditions, for who, in what way, what shape, what consequences? How can we use fictions, games in particular and art, as ways to reflect on and study our behavior when imagining our future?